W12960N - "WHAT'S YOUR GAME"
Lead & Nickel Free!! 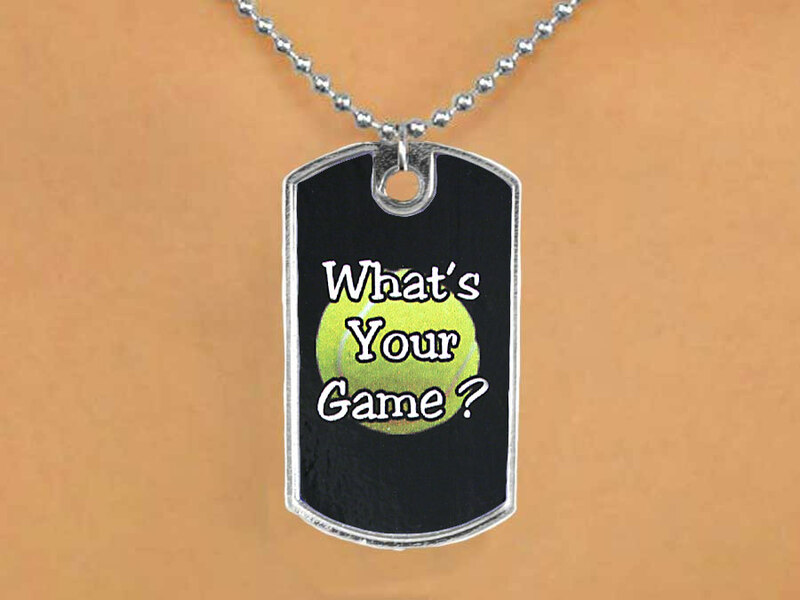 Silver Tone Ball Chain Suspends A Dog Tag With The Word, "What's Your Game?" Across A Tennis Ball.